John was my mentor over the years from 1967 when I came on an attachment from BBC Bristol for three months as a Production Assistant. 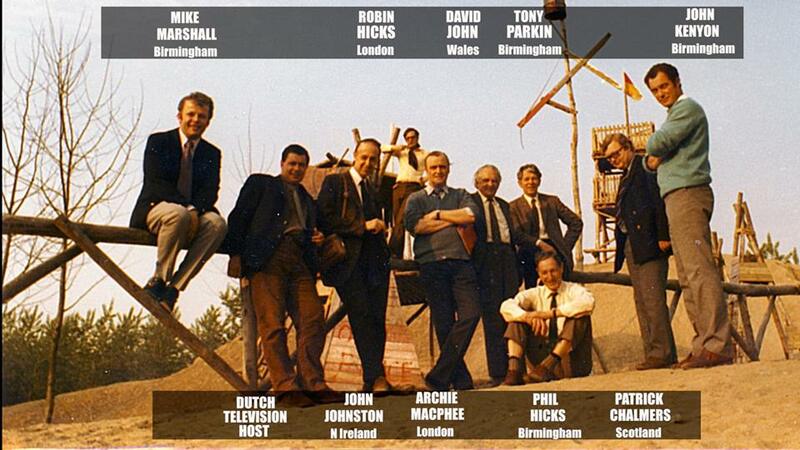 The three months became six, and eventually I stayed on in the Unit as an Assistant Producer until 1972. It was the most exhilarating experience – John let me have full rein very quickly at a challenging time when the UK was in the throes of entering the Common Market! Agriculture was in a period of considerable adjustment as a consequence, and our programming always tried to reflect that. Much of the knowledge in production that I gained working there is due in no small way to the guidance and encouragement that John gave me. He was also extremely tolerant of the fact that I was a non-golfer! The photo below was taken on an EBU Farming tour in the Netherlands in 1971, and shows many of the BBC’s Agricultural Radio and TV Producers – including John Kenyon.